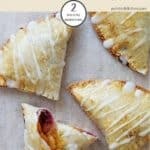 These tasty little Peach Pies are just 2 Smart Points per portion on Weight Watchers Freestyle Plan. They make a great low point dessert or a tempting mid afternoon snack. 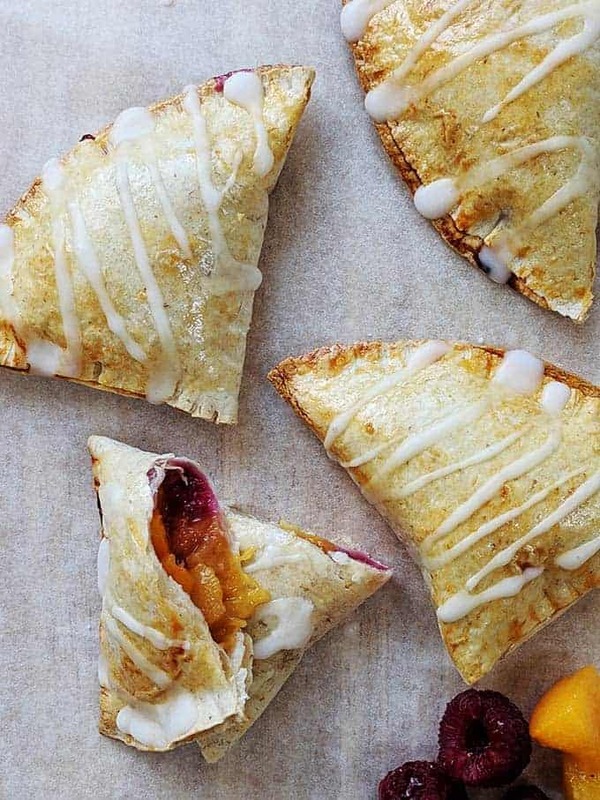 Filled with peach and raspberry and topped with a drizzle of sweet icing, these Peach Pies are just sweet enough to satisfy any craving for dessert! So, I’ve said many, many times before that I love dessert! My love for it is maybe one of the reasons I found myself walking through the doors of my first Weight Watchers meeting a couple of years ago. I had been overdoing dessert! But I soon learnt that following the Weight Watchers plan doesn’t mean that you have to forego dessert. It just means that if, like me, you want dessert on a regular basis they need to be adapted to be more Weight Watchers friendly. I have made a number of Weight Watchers desserts recently like these 3 Smart Point Baked Egg Custards and these 5 Smart Point Chocolate Pots. This self saucing Lemon Pudding is just 4 Smart Points per portion and is very popular if you are happy to use sweetener in your diet. 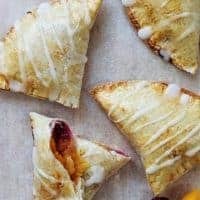 I also made these Apple Turnovers not so long ago and as they were so popular, I decided to experiment with other flavours. 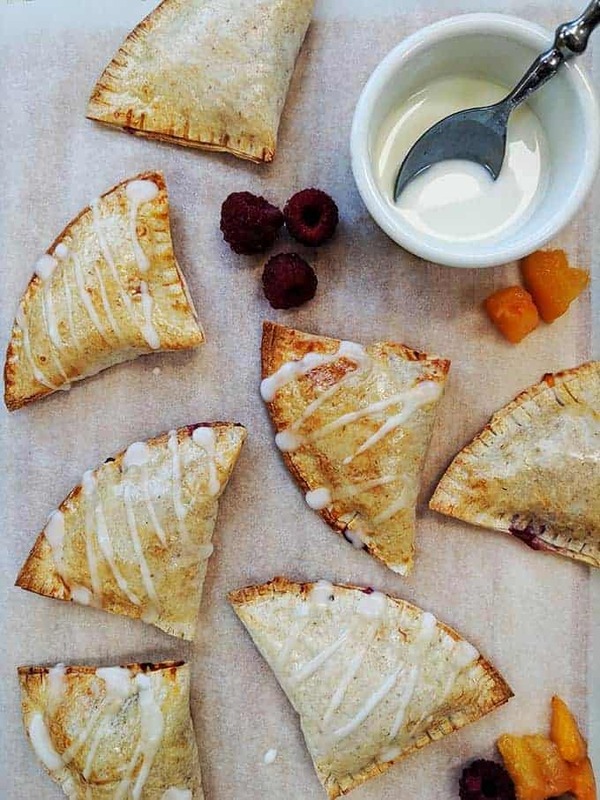 This peach and raspberry filling works well – the peaches are sweet enough not to need sweetener. Also the drizzle of icing on top adds just the right amount of sweetness to the Peach Pies. What Tortilla wraps should I use? 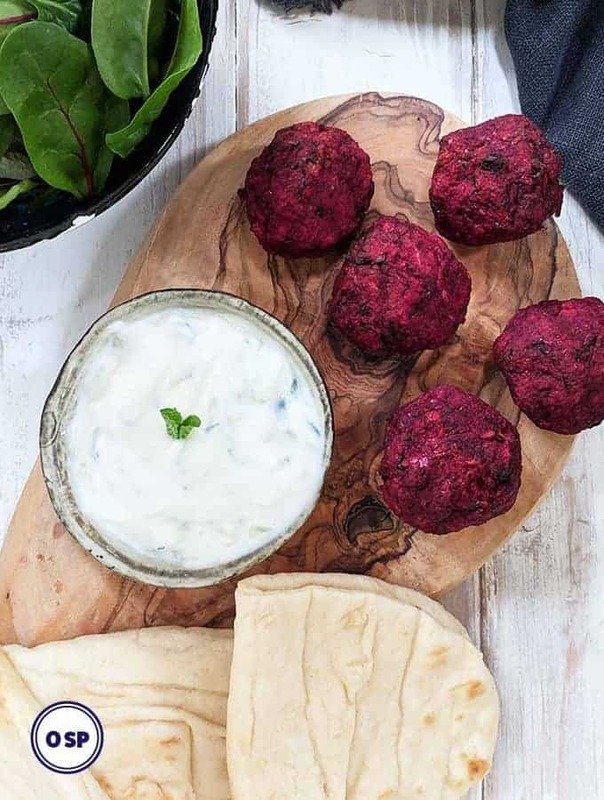 I used Tesco own brand mini tortilla wraps for this recipe. They work out at 3 Smart Points per wrap (11 Smart Points for four). Be aware that Tesco’s normal size White Tortilla Wraps would work out at 22 Smart Points for 4 which would increase the points value of each pie to 3 Smart Points (or 6 Smart Points for two). Weight Watchers also do their own White Wraps which work out at 3 Smart Points per wrap (or 14 points for 4 wraps). Weight Watchers wraps are bigger than the Tesco mini wraps so you may need to increase the amount of fruit that you use to fill them. If you use other brand tortilla wraps just be aware that their Smart Point values can vary widely, so check the nutritional information before using to work out the points. If you are in the US, there are a number of 1 Smart Point tortilla wraps that are available. These include Extreme Wellness Wraps & Mama Lupes brands and both are available to buy as multipacks from Amazon. Do remember to check the nutritional information before using (incase of changes) but if they are 1 Smart Point per wrap then it would reduce the point value to 1 Smart Points for 1 Peach Pie or 3 Smart Points for 2 Peach Pies. If you are using these bigger wraps you may need to increase the amount of fruit filling that you make. What peaches should I use? I used Princes peach slices in juice. Make sure to use peaches in juice or water. Peaches in syrup (light or heavy) will have to be pointed. Can I use fresh peaches in these Peach Pies? I will definitely be using fresh peaches in this recipe once they are back in season. Wash, de-stone, peel and chop 1 -2 peaches (depending on their size) then follow the recipe instructions. 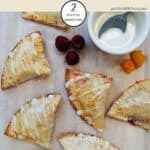 Can I use frozen peaches for these Peach Pies? Yes! As long as the peaches are no added sugar. I would suggest using about 150g (1/2 cup) of frozen peaches to make the 8 pies. For clarification, cornflour (in the UK) and cornstarch (in the US) are the same thing. They are used as a thickening agent to make sauces etc a denser consistency. In the American South the term corn flour is used to describe a finely ground cornmeal – this is not what is needed in this recipe! I use cornflour / cornstarch in this recipe to thicken up the filling for these pies. It prevents the filling oozing out of the pies when baking. Place the drained peaches into a small saucepan with a couple of tablespoons of water and the cornflour / cornstarch. Stir to combine and heat for 3 – 4 minutes until the peaches have softened and broken down. Add the raspberries and stir to combine. The addition of the water and cornflour to the fruit should bind it all together to a thick spoonable mixture. Halve the tortilla wraps by cutting with a sharp knife (picture 1). You will be left with 8 semicircles of tortilla. Brush the inside edge of the tortilla wrap with egg wash (picture 2). Spoon a heaped teaspoon of the fruit mixture towards the bottom of the semicircle (picture 3). Don’t be tempted to overfill as the filling may start to leak out when baking. Fold over the tortilla wrap to cover the fruit (picture 4) and brush with egg wash.
Seal around the edges of the pie by pressing hard with a fork (picture 5) . The egg wash around the inside of the tortilla wrap will help to seal the two edges together. Place the pies on a non stick baking tray or a tray covered with liner such as this Silpat Non Stick Silicone Baking Mat. Bake in the middle of the oven for 8 – 10 minutes or until golden brown. If you are baking pies using the bigger tortilla wraps they may need a little longer to brown. Remove from the oven and place on a wire rack to cool. Make up the icing / glaze by adding 1/2 teaspoon of water to the icing sugar and mixing until lump free. Add a few more drips of water if it is too thick. Drizzle over the pies & allow to set before serving. I have found that these Peach Pies keep in an airtight container for a few days but they do go a little soft. They can be crisped up by placing in a warm oven for a few minutes prior to serving. If you know that you are going to be storing the pies, it may be better to store them prior to adding the icing / glaze. However, this isn’t vital. You just need to be aware that the icing will melt into the pies when re-warming. They still taste delicious – they just don’t look as good. 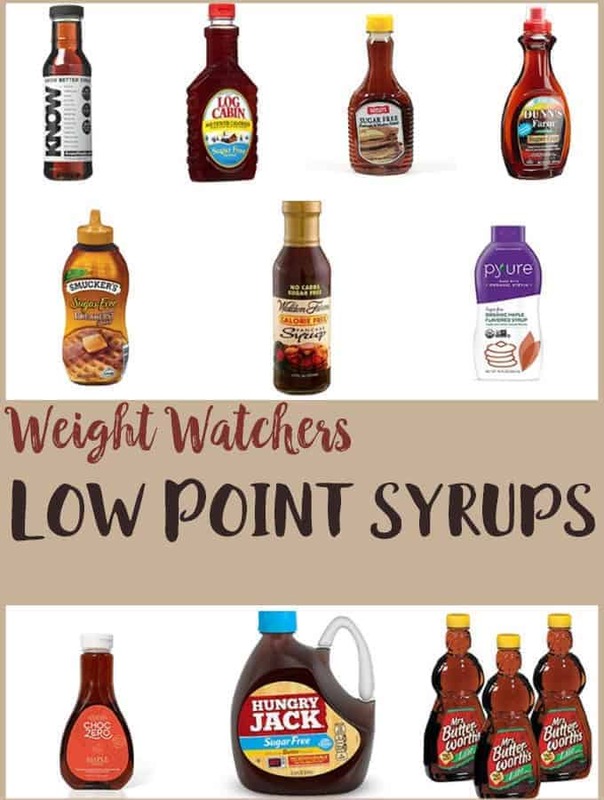 Looking for more Weight Watchers Desserts? You may be interested in this zero Smart Point Fluff this Marshmallow Fluff or this 5 Smart Point Pineapple Dessert. You may also find this list of Low Point Ice Creams useful when the craving for Ice Cream hits. This post contains affiliate links. Visit this page to see what that means. 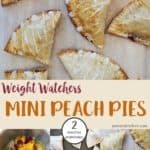 These Peach Pies are just 2 Smart Points per pie on Weight Watchers Freestyle plan. Drain the peaches. Place them in a small saucepan with a couple of tablespoons of water and the corn flour (cornstarch). Stir then cook over a medium heat for 3 - 4 minutes until the peaches have softened and have broken down. Stir in the raspberries. The addition of the water and cornflour should bind the fruit together into a thick spoonable consistency. Remove from the heat. For photo instructions of constructing the pies, see the post above. Cut the tortilla wraps in 2 so that you have 8 semicircles. Brush the edge of the first semicircle with egg and place a heaped teaspoon of the peach & raspberry mixture in the bottom half. 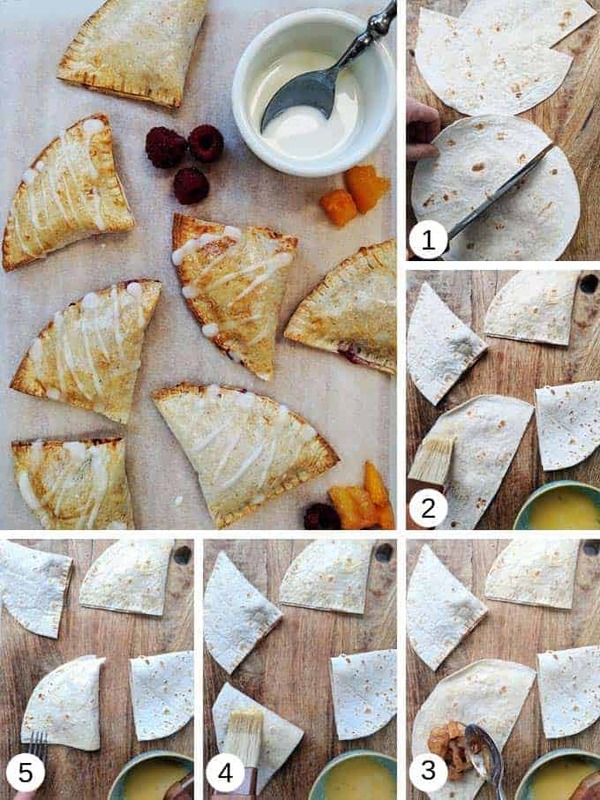 Fold the tortilla wrap over so that it encloses the fruit. Brush the top of the pie with egg and then press hard around the edge of the tortilla with a fork so that the edges are sealed. Repeat with the remaining pies. Place on a non stick baking tray and bake for 8 - 10 minutes or until they have turned golden brown. Place the icing sugar (powdered sugar) in a small bowl and add 1/2 teaspoon of water - stir to form a thick icing / glaze. Add a little more water if needed. Drizzle a little of the icing over each of the cooled pies. If you are storing these pies, it is probably best to do so before icing them (although this is not absolutely necessary). They can be kept in an airtight container for a couple of days but will become a bit soft. Place them in a warm oven for a few minutes to crisp up again. Please be aware that the nutritional information below has been automatically generated and does not account for variations in product brands and types, weights of individual ingredients etc. It should therefore be considered as an estimate. 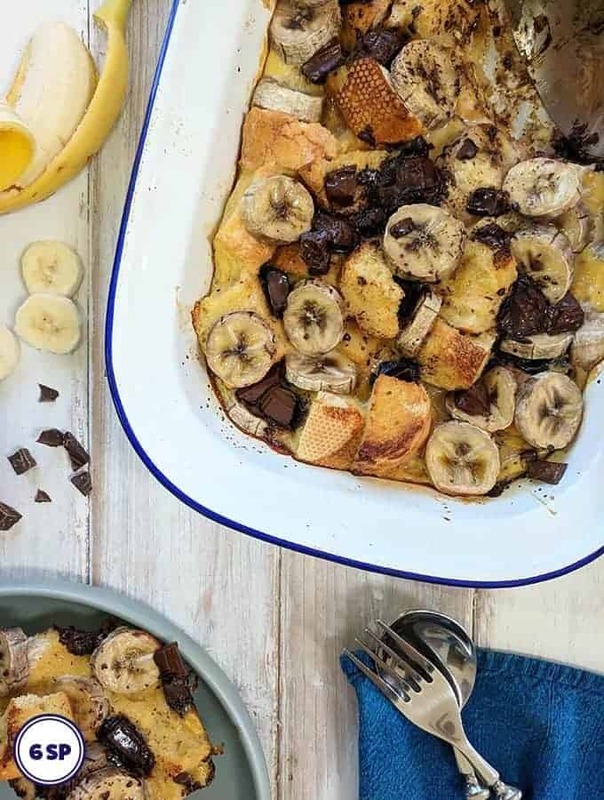 PointedKitchen.com has calculated Weight Watchers Smart Points based on the individual ingredients used to make this recipe and not from the following nutritional information. PointedKitchen.com is not responsible for any loss or damage relating to your reliance on this nutritional information. This site is UNOFFICIAL and is not affiliated with Weight Watchers International, Inc in any way. It has not been reviewed by Weight Watchers International, Inc for accuracy or suitability for WW members.